Brazil forward Neymar, the world's most expensive footballer, will not play in Paris St-Germain's first French league match of the season after his documents failed to be lodged in time. His international transfer certificate missed a midnight deadline, so he will watch Saturday's match against Amiens from the stands, the league said. But he will be presented to supporters before the match at Parc des Princes. Neymar, 25, joined the Ligue 1 club for a record fee of 222m euros (£200m). He will earn 45m euros (£40.7m) a year. In his first public appearance as a player for the French club on Friday, Neymar said it was "sad" that people thought that his move from Barcelona had been motivated by money. Reality Check: Can PSG get away with paying £198m fee? Analysis: When was the moment Neymar decided to leave? £200m for a footballer - how do you feel? 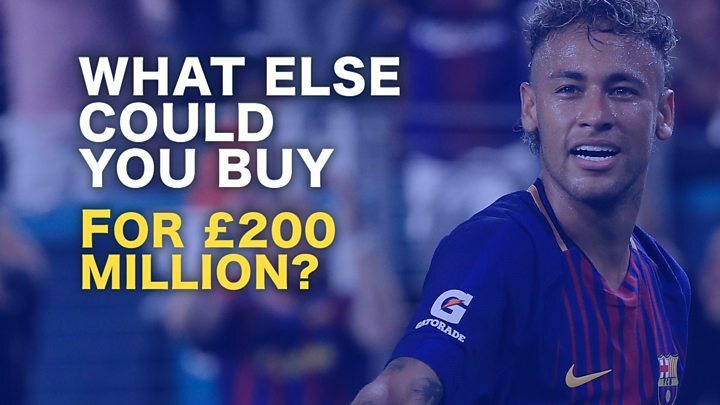 Media captionWhat else could you buy for Neymar's £200m? "What I say to these people is they don't know anything about my personal life. I was never motivated by money. "If I was following the money, I would be somewhere else, with other clubs in other countries. I'm really sad that people still think that way and I'm glad that PSG believe in me." The player arrived in Paris by private jet on Friday and was greeted by PSG officials and hundreds of supporters. At the club's shop on the Champs-Élysées, more than 1,000 fans queued to buy a PSG shirt of their new Number 10. 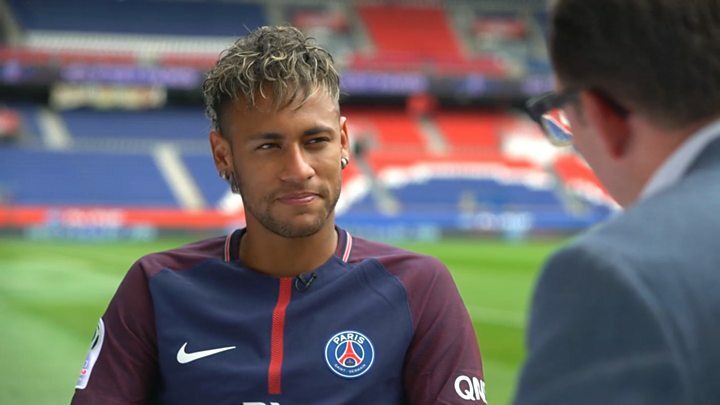 Neymar: Was this the moment PSG target decided to leave Barcelona? Neymar to Paris St-Germain: £200m for a footballer - how do you feel?